South Devon Osteopaths run Osteopathic clinics that provide an outcome focused, evidence based approach for patients suffering low back and neck pain. 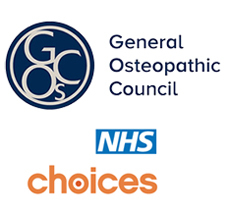 Intervention is in keeping with NICE guidance NG59 and the national MSK neck and back care service specification for patients suffering low back and neck pain. A strong emphasis is placed on patient education and self management. Our clinics are located in local Medical Centres and Community Hospitals allowing patients access to Osteopathy in a safe, familiar, integrated setting close to home. If you are a patient, GP or Commissioner we have pages designed to answer your questions, supply information or provide advice. We also have online surveys for all Patient and GP feedback. If you have any other questions please email us or speak to us direct.